Benefits for both your patients and hospital while helping to make getting discharged less confusing, more convenient and easier to understand. 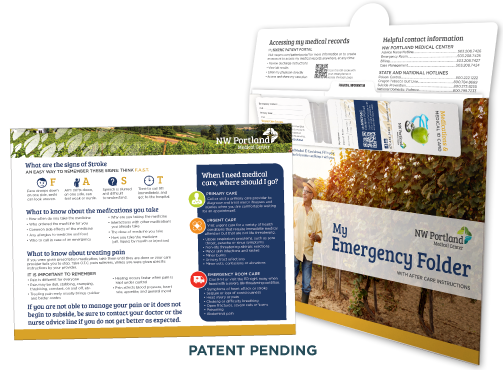 Educate your emergency room patients while helping to improve satisfaction, wait times and meaningful use with ER Folders designed to hold discharge printouts. 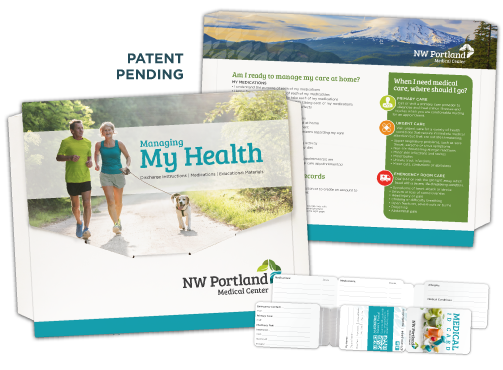 A functional marketing tool that both patients and hospitals love to use. Wide variety of uses! 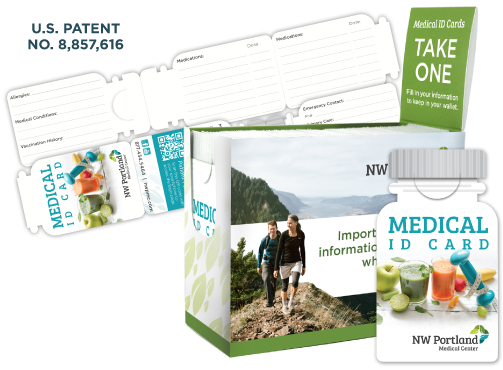 Our products are not one size fits all, but customized for each client to meet their needs. ASI Business Group is committed to providing high quality products, offering practical and proven solutions to meet the marketing and organizational needs for a diverse business world. With over 40 years experience we have a real passion for what we do. Are you interested in learning more about our products, or ready to get started on a project? Give us a call toll free 877.434.5464 or request samples; we’re happy to answer all your questions and help you find the perfect custom-printed solution. Our talented graphic design team will customize our products to meet your needs and brand. Your satisfaction is very important to us. Our customer service staff puts the customer first, every time. Have access to ordering your custom products 24/7 from our warehouse facilities.